Once, not so long ago, the Gold Coast evoked a whole host of clichés: deep tans, bleach-blonde hair, meter maids, masses of tourists and tired motels with flamingos on the sign. And the best food options in town were confined to the local fish and chip shop or surf club. But times they are a changing and, in the case of the Gold Coast, very much for the better. 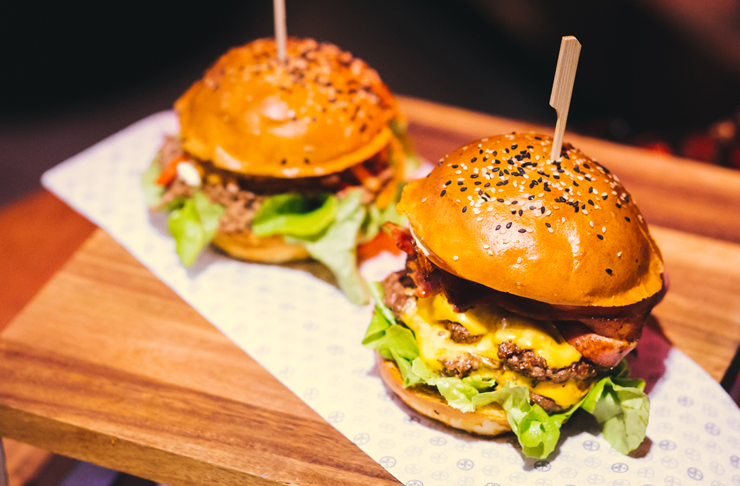 Now the only complaint we have with the Gold Coast scene is that we can barely keep up with all the new wine bars, cafes and stellar restaurants on offer. The Gold Coast is made up of a whole host of little villages with their own unique charms and our advice is to get to the GC this summer so you can explore them all! Don't worry about where to eat, drink and play when you’re there because we’ve created this little guide to all the awesome things to do on the Gold Coast. Happy holidays! Canteen Kitchen in Burleigh Heads takes its influence from the Middle East for breakfast and we’re hooked. The cumin scrambled eggs with za’atar, labneh, and green olives is a winner. Paddock Bakery in Miami pumps out artisan sourdough, breads, donuts and muffins from the huge wood fired oven from 6:30am. 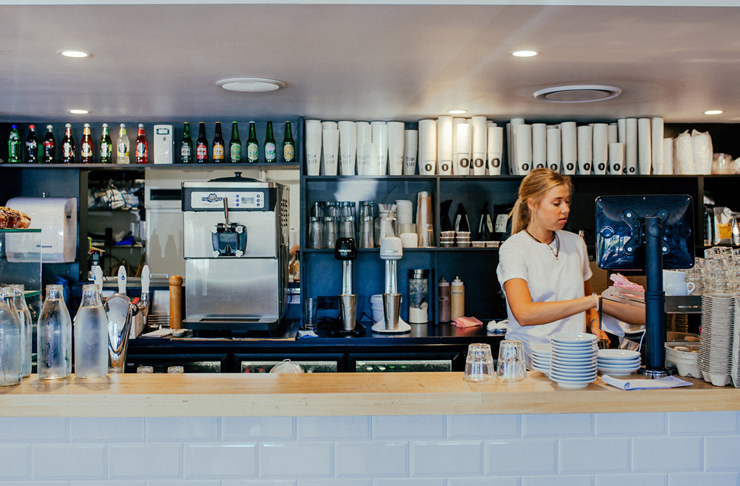 Palm Beach café Feather and Docks’ legendary coffee stands up against city slicker cafe kings in Melbourne and Sydney. Quality caffeine makes that early morning surf even more worth it. Burleigh Social have nailed the art of the Acai bowl and chilling at their communal picnic tables is the epitome of good times. There ain’t nothing like a greasy burger to finish off a day of sun-soaking, and New York-inspired burger joint, Brooklyn Depot, is just the spot. We're partial to the Outta Towner with provolone, thinly sliced steak, roasted green peppers, caramelised onion, and cheese sauce. Hellenika in Nobby Beach is lauded far and wide as some of the best Greek food in Australia, and we wholeheartedly agree. So does everyone else it seems, so make sure you book! Mermaid Beach’s Etsu Izakaya is an exquisite mecca of Japanese fine dining and champions fresh sushi and sashimi as well as meats and vegetables off their Robata grill. Ariba! Pablo Pablo in Palm Beach’s traditional Spanish-style tapas, paella and margaritas cannot be beat. Nothing quite defines the Gold Coast’s laid-back lifestyle like a solid session of drinking in the sunshine overlooking the beach. 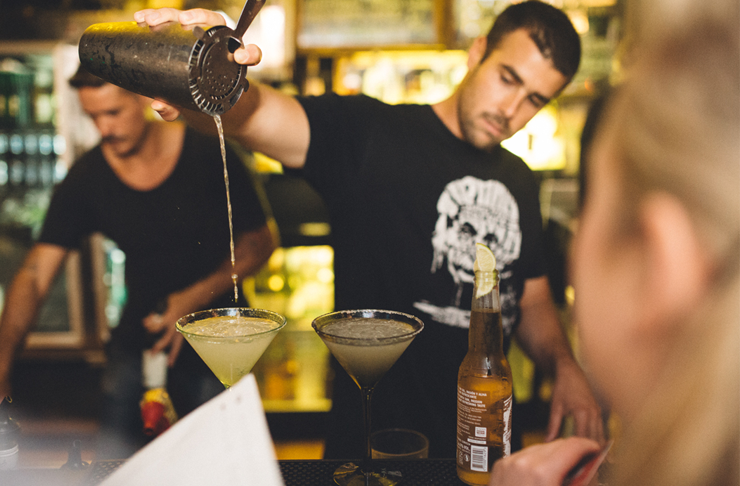 And in 2015, the Gold Coast’s bars never looked so good. The party is always at the QT Hotel’s Stingray Lounge. With over 50 in-house tequilas, you’ve been warned. Any bar named in honour of a historic sailing ship best nail their rum drinks. Let the smooth bartenders at Nobby Beach bar, The Cambus Wallace pour you a stiff drink. Justin Lane, Burleigh’s much loved pizzeria just got a new rooftop bar. Holla! They’ll be serving sleek cocktails all summer long! Life doesn’t get more quintessential Queensland than a sunny Sunday sesh at the local surf club. Our pick is the exotically named Greenmount Beach Club, aka Tweed Heads and Coolangatta Surf Club, where Sunday sessions kick off from 4pm. What is the best thing to do at the Gold Coast? 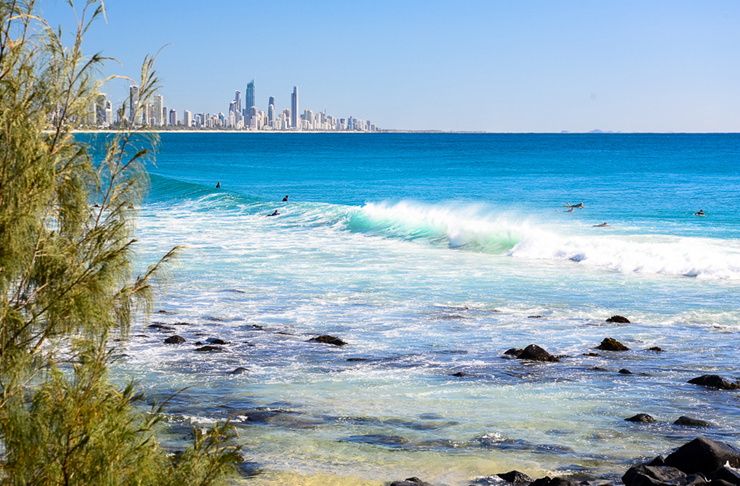 Yep, yep, we know... check out our guide to the Gold Coast’s best beaches! The good news is, when you’re not swimming or sunbaking, there’s still heaps of awesome things to do on the coast. If you like the Eat Street Markets, you’ll love Miami Marketta. The best night markets on the coast have gyoza, gosleme, paella, pulled pork burgers and all the sweet treats you could ever imagine. Sure, swapping one body of water for another seems kind of silly, but hiking Natural Bridge at Springbrook National Park is worth it because it leads you to some of the most stunning waterfalls you’ll ever see. There’s no better people-watching vantage point than atop Burleigh Hill, so grab a picnic rug and pick up the best fish and chips on the Gold Coast and settle in for the long haul. Don’t you love it when fun and exercise collide? SUP’ing at Currumbin Alley is one of the best ways to enjoy the beach while working out. Love the Gold Coast as much as we do? Check out our sweet sister website Metropolist: the fabulously fun guide to all the best things to eat, see and do on the Gold Coast!